Summer means playing, resting, hanging out with friends, going to the park, taking family vacations, splashing in the pool, staying up, and sleeping in late. It is also time for the Summer Slide! 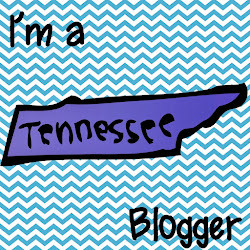 Lily from Personal Creations ( a fabulous website full of unqiue and personalized gifts) is putting together a School All Summer Project. 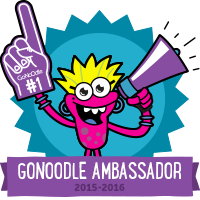 Their goal is to help students learn more over the summer in fun and exciting ways. 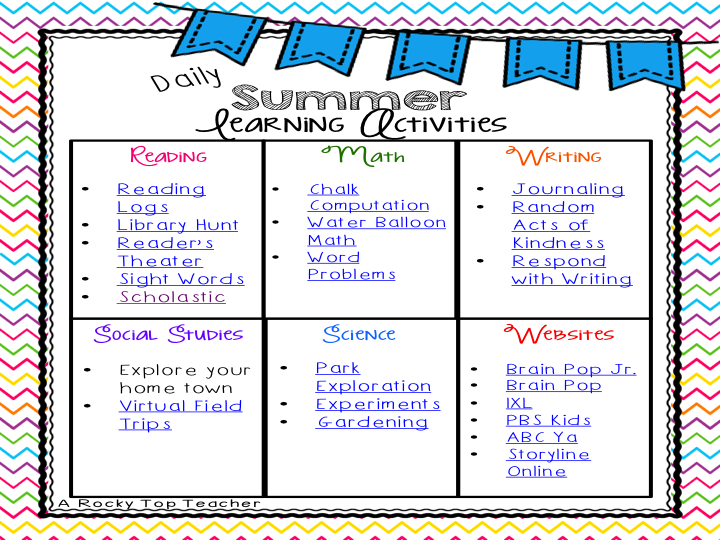 So, she asked me to write about how to help promote meaningful summer learning! As teachers, the words "Summer Slide" make us cringe. 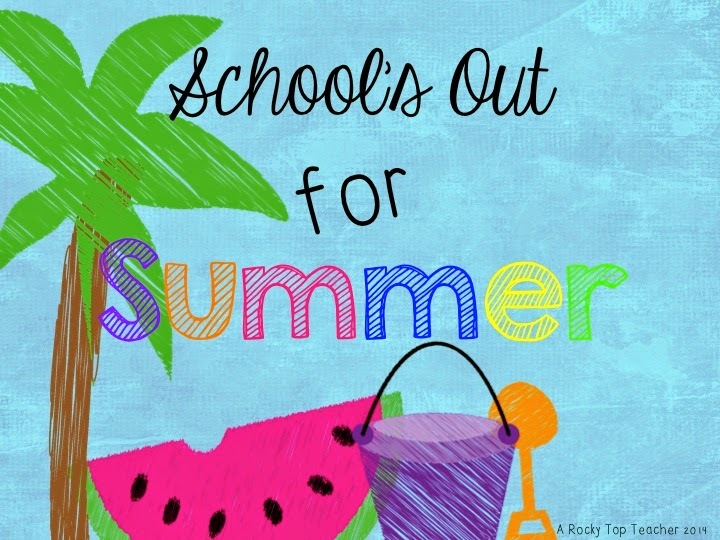 That dreaded phrase refers to the summer months when our kiddos are away from school, get out of the routine, and are often exposed to little or no learning experiences at all. That time of "rest", while much needed, allows for children to forget important skills and concepts because they are not continuously practicing them. 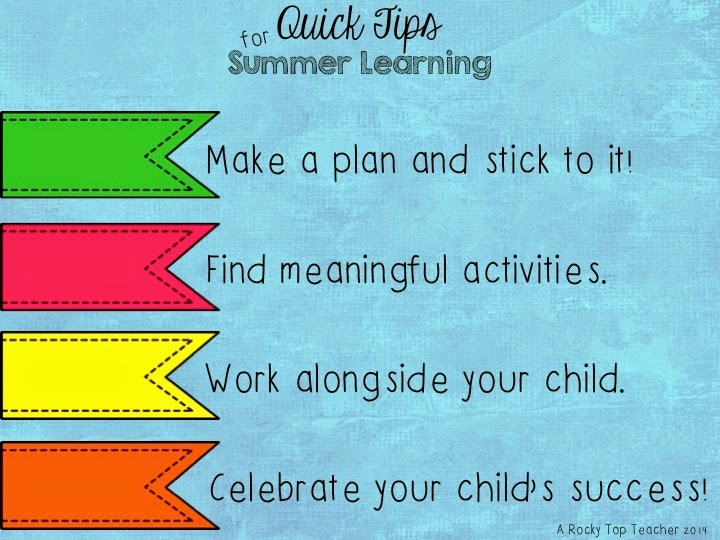 But, there are many ways to sneak in learning opportunities with your kiddos to help them maintain a solid learning foundation throughout the summer months! Before you get started, come up with a plan. Here are 4 tips to help you begin your planning. 1. Make a plan and stick to it. 20-30 minutes a day is all that you need! I know that your summer is busy, so keep the learning simple and short. Try doing it first thing in the morning! Kristen from Busy Kids Happy Mom suggests making a theme for each day! I think that is great! It will help the kiddos establish a routine. They know that it is Tuesday so that means they do writing on Tuesday. Check out her ideas for daily themes here. 2. Find meaningful activities. Kiddos learn best when the activities and learning experiences are relevant. You are their parent. You know them best. What do they like to do? I have complied a list of fun and engaging ideas with resources that parents can use at home. Click on the image or here to download the list! 3. Work alongside your child. If you are asking your child to read then make sure you sit down and read alongside them. Are they writing a journal entry? Why not sit with them and write a note to a neighbor or family member? Don't leave them to complete a task unattended. Instead, I encourage you to work with them. You are setting a great example and being a fabulous role model! It will energize you and your child! Promise! 4. 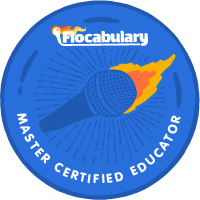 Celebrate your child's learning success! Did you get in your 20 minutes of learning in each day this week? Did your child work exceptionally hard? Did they finish reading a book or complete a word problem correctly? Celebrate your child's successes-no matter how big or how small. It could be an ice cream trip, going to the park, etc. I looked far and wide to find ideas and activities that, I felt, were relevant and meaningful. I do not take credit for any of these ideas, but I hope that pulling so many great sources together into one place will save you some time searching them on your own. Hopefully, you will find these helpful! Are you ready to combat the summer slide?! ?